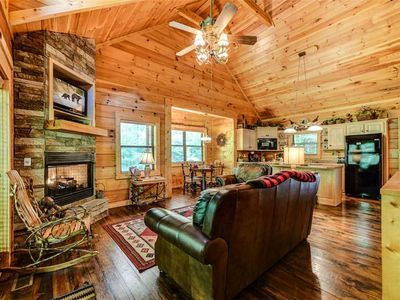 Welcome to Ain’t No Mountain High Enough, a cozy cabin located near a mountain peak in the serene Wears Valley area. 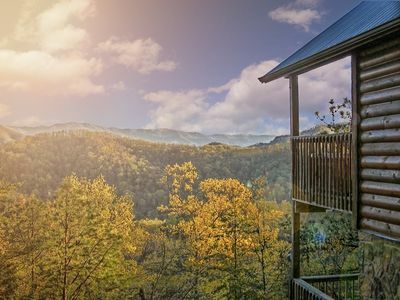 Escape to your private retreat located approximately ten miles from the main attractions in Pigeon Forge and five miles from the Cades Cove entrance to the Great Smoky Mountain National Park. 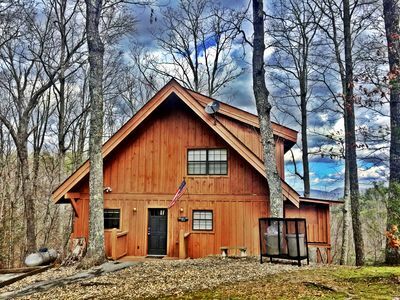 This Wears Valley cabin is a perfect accommodation for a couple’s vacation to the mountains, a family vacation or a romantic retreat (HONEYMOON) for two. 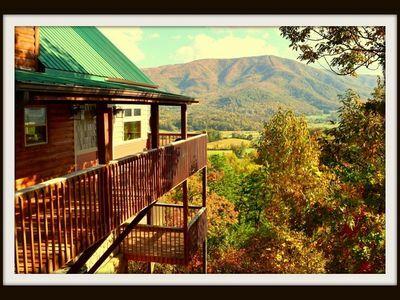 Our cabin has one of the most SPECTACULAR VIEWS you will find in the Smokies! 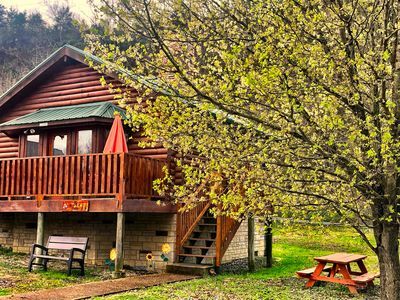 This small footprint cabin boasts all the amenities you need for your stay to be comfortable and relaxing. 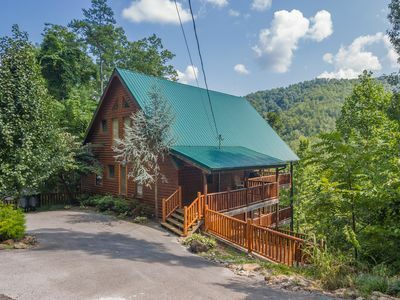 Ain’t No Mountain High Enough is a one bedroom, 1.75 bath cabin. 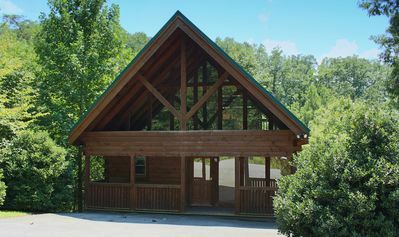 It is furnished with a very comfortable king-size bed on the lower level, with a full-size pull down Murphy bed on the upper level (no sofa sleeper). 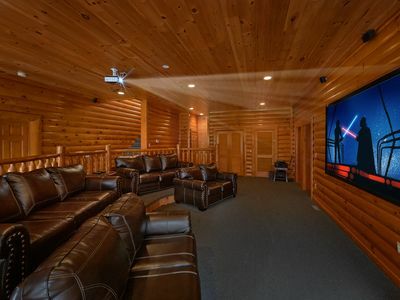 Each level features a flat screen T.V. 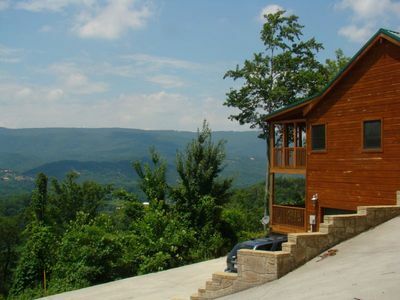 with HD cable programming, WiFi, and the upper level boasts large windows where you see the majestic view. 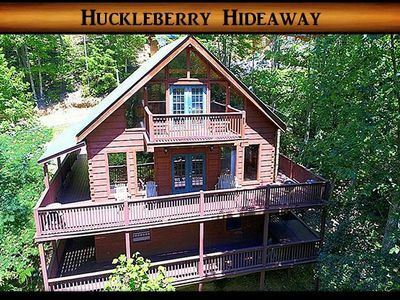 For those nights when you want to dine in, a full kitchen, including plenty of dishes, pots and pans, is ready for you. Or, venture out and sample the fare at one of the area’s unique and delicious restaurants. 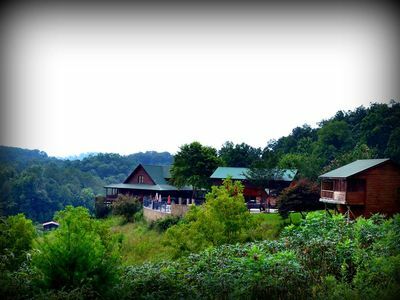 Ain’t No Mountain High Enough also has amenities to enjoy outside as well. 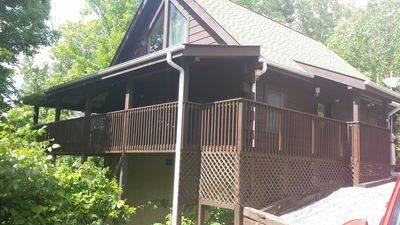 Two private decks provide for a variety of options. 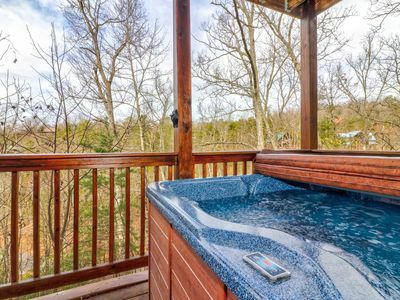 Upper viewing deck has a hot tub for relaxing. 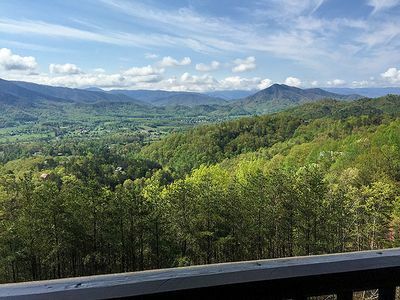 Enjoy your grilled, home-cooked or take-out dinner on the custom log table and bench seats where you can sit and enjoy the breathtaking panoramic view of the Smoky Mountains. 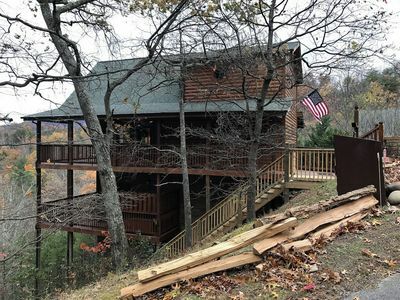 Lower viewing deck provides two rocking chairs and a large porch swing. 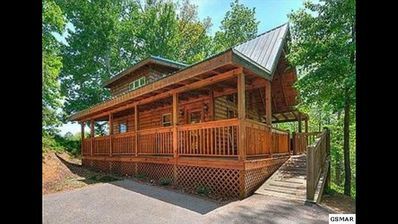 While we love pets, this is a pet free cabin as a courtesy to our guests who may be allergic to pet dander. NOTE: Availability is subject to change. 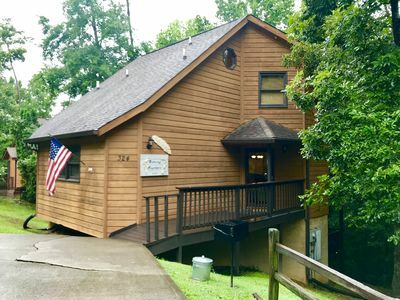 While we own the cabin and will communicate with you regarding area activities and specific cabin info, we do work with a local property management company who takes care of our guests' needs during their stay. The management company also establishes bookings on our behalf, and may without advanced notice, reserve dates. 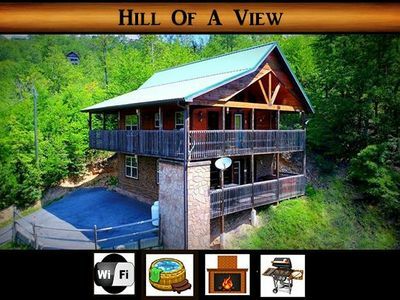 Spectacular Views - 4.7/5.0 Great Reviews!! 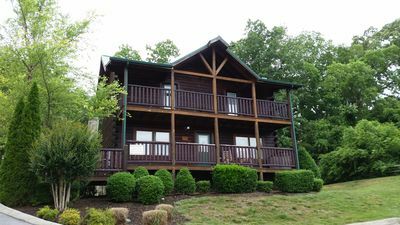 'Blessings':Outstanding View;Spacious 3500 SqFt; Wi-Fi; 2018 Specials!! 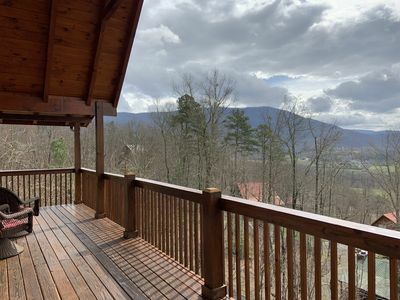 "Bear Haven" is a beautiful, upscale cabin located in the Great Smoky Mountains. 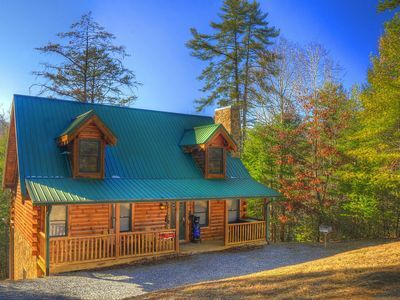 Luxury Log Cabin, View, Super Fast WiFi, NFL Sunday, Arcade, Fishing & 2 Pools!